WOMA (Australia) Pty Ltd is a quality and dependable supplier of Pressure & Vacuum Pumping and Explosion Protection solutions across key industrial sectors; Defence, Infrastructure, Construction, Energy and Resources including Shipping & Marine, Oil, Gas, Petrochemical and Mining. Their talented team of experts offer Engineering, Service & Support, Spares, Accessories, Rental and Training as well as Consultative Services. operational safety and productivity improvements. Turnkey dependability in hazardous environment solutions are available with applications from fork trucks and hydraulic power packs to air compressors, vacuum systems, high pressure pump systems and engine protection systems & conversions. 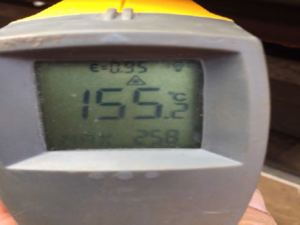 Recently, the WOMA team were able to design and supply a robust Explosion Protected remote controlled cleaning solution for a vessel in the solvent extraction (sx) plant within their client’s facility. 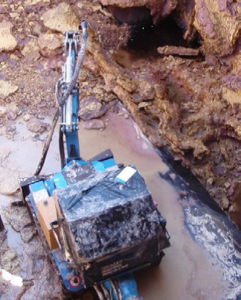 Requiring no ‘man-entry’, the vehicle was able to execute the required vessel cleaning by application of ultra-high pressure water, mechanical scraping, vacuum extraction and video control methodology. 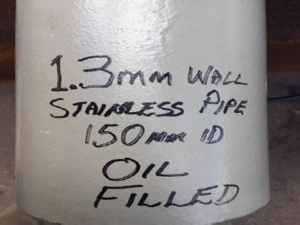 Typically, the contents of the vessels in question pose a potentially noxious threat to human safety as well as a high volatility threat within the solvent-soaked scale (an impurity from the solvent extraction process) which can exist in the vessel as well as related solvent transfer pipes. 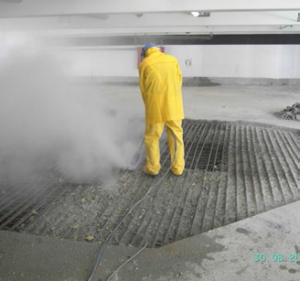 WOMA’s remotely operated explosion protected vehicle vessel cleaning in a solvent extraction plant negating the requirement for ‘man’ entry. Precise application of WOMA’s ultra-high pressure technologies enabled the removal of hardened external coatings from thin-walled process pipes operating at 140 Deg C.
The removal of hardened protective coatings from thin-walled (1.3mm) stainless steel process pipes operating at 140 Degrees Celsius presented a significant integrity inspection and fabric maintenance concern for a major petro-chemical refinery. Understanding that the implications of a process pipe failure were extremely high, WOMA together with its client Veolia embarked upon qualitative research at its Henderson facility in Western Australia during which trials were completed to establish a safe, productive and superior cleaning solution for the on-line process pipes operating at 140 Degrees Celsius. Through the precision application of advanced ultra-high pressure technologies, the WOMA & Veolia team were able to prove a methodology for the client that met all the required performance criteria and provided a superior finish re-exposing the original profile clear of impurities, surface salts and residual coatings. Three key ingredients cause concrete cancer – Iron, Water and Oxygen; the process starts when moisture reaches the internal iron reinforcement and combines with the carbon dioxide in the air, forming weak carbonic acid. As this acid forms, it causes the iron to dissolve, allowing water to start breaking down its components – hydrogen and oxygen. This then forms an oxygen and iron bond freeing electrons, creating what is commonly known as rust. 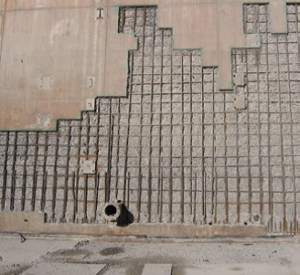 concrete to facilitate treatment and recoating of the steel reinforcement prior to the reapplication of concrete. 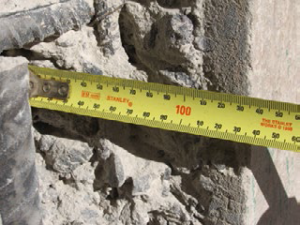 Ultra-High Pressure Water far out-performs any other mechanical, kinetic or abrasive means of selective concrete spalling in that it does not create any vibratory or heat stress in the remainder of the concrete structure but rather enables precise investigative excavation of the affected areas. 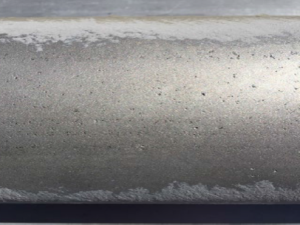 Selective concrete removal using Ultra High Pressure Water facilitates targeted investigative techniques to clearly identify and treat failed concrete structure without disaffecting the peripheral structure. The precise removal of the identified external concrete strata, ensuring unparalleled access to the reinforcement steel for anti-corrosion and reparative works. The safe and selective removal of cracked and failed concrete from a structural floor using WOMA’s low volume ultra-high pressure water jetting technologies. WOMA’s success in the practical application of leading edge technology within the industrial market is renowned, and in keeping with that track record, their recent successes outlined above continue to underscore their value as a valuable technological partner for principal asset owners and service contractors alike. Get in touch to discuss your requirements.